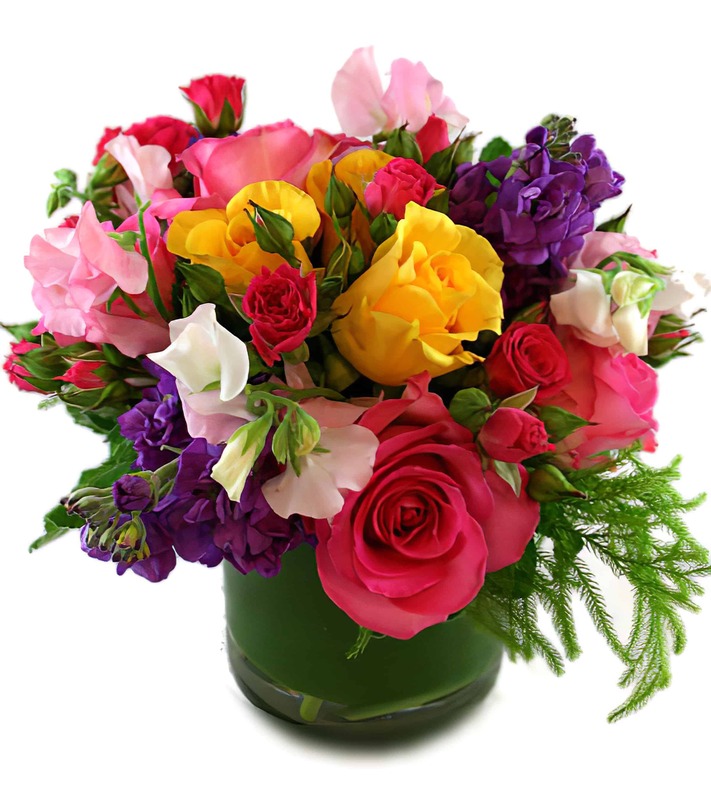 Pink and Yellow Roses, Pink Spray Roses, Purple Matthiola, and Pink Sweet Pea (when in season) come together for a lovely bright arrangement with a heavenly smell all neatly tucked into a ti leaf lined vase with approx. height of 7-9". A perfect room brightener or desk companion! It will celebrate any special occasion with a touch of sweetness!